The body shell, which forms the skeleton of the vehicle. The engine, is the power unit of the vehicle; which in the past has been in large part, the internal combustion engine. Transmission system, which aids in transferring the drive from the engine to the wheels. Its main components are the clutch, gearbox, final drive, and differential. Suspension system, which is used to connect the wheels to the body or chassis frame. In the United States, automotive design reached a turning point in 1942 when the American national automobile market began reaching saturation. To maintain unit sales, General Motors head Alfred P. Sloan Jr. suggested annual model-year design changes to convince car owners that they needed to buy a new replacement each year, an idea borrowed from the bicycle industry (though Sloan usually gets the credit, or blame). Critics called his strategy planned obsolescence. Sloan preferred the term "dynamic obsolescence". This strategy had far-reaching effects on the auto business, the field of product design, and eventually the American economy. The smaller automakers could not maintain the pace and expense of yearly re-styling. Henry Ford did not like the model-year change because he clung to an engineer's notions of simplicity, economics of scale, and design integrity. GM surpassed Ford's sales in 1931, and became the dominant company in the industry thereafter. 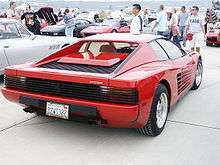 The frequent design changes also made it necessary to use a body-on-frame rather than the lighter but less adaptable monocoque design used by most European automakers. Some U.S. designers include Gordon Buehrig, who was responsible for the Auburn 851, as well as the Cord 810 and 812 (hence also the Hupmobile Skylark and the Graham Hollywood). A major influence on American auto styling and marketing was Harley Earl, who brought the tailfin and other aeronautical design references to auto design starting with the rear fenders of the 1948 Cadillac. Another notable designer was Chrysler group's designer Virgil Exner, who developed the Forward look design in the mid-1950s. Exner is also credited with using wind tunnel testing to justify incorporating tailfins, thus moving the company away from boxy-looking cars into more aerodynamic and futuristic designs. Raymond Loewy was responsible for a number of Studebaker vehicles, including the Starlight (including the bullet-nose). 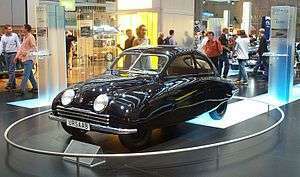 German designs started gaining popularity after the 1980s, notable after the formation of Audi. 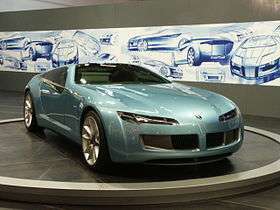 Volkswagen, which was dependent on Marcello Gandini, Giorgetto Giugiaro, and Karmann, later formed the contemporary design language along with Audi. BMW entered the automobile design with a sporty-looking everyday sedans using Giovanni Michelotti. 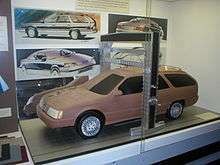 These models were later enhanced by Ercole Spada into the 1980s, and Klaus Luthe until the mid-1990s. The American born designer Chris Bangle was hired by BMW in the late-1990s to re-define the brand. Bangle incorporated new single press technology for compound curves to add controversial styling elements to his designs. 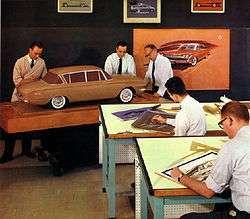 Italian designers whose designs services were sought globally are Giovanni Michelotti, Ercole Spada, Bruno Sacco, Marcello Gandini, and Giorgetto Giugiaro. ↑ Winter, Drew (1 May 1996). "The men behind the magic". Ward's AutoWorld. Retrieved 9 January 2014. ↑ Cumberford, Robert (April 2009). "20 greatest cars". Automobile. Retrieved 9 January 2014. ↑ Jain, Sarah S. Lochlann (February 2004). "'Dangerous Instrumentality': The Bystander as Subject in Automobility" (PDF). Cultural Anthropology. 19 (1): 61–94. doi:10.1525/can.2004.19.1.61. Retrieved 9 January 2014. ↑ Swales, Neville (21 October 2011). "Designing the XJ13". www.xj13.eu. Retrieved 9 January 2014. Michael Lamm and Dave Holls, A Century of Automotive Style, Lamm-Morada Publishing Co. Inc., Stockton CA ISBN 0-932128-07-6.